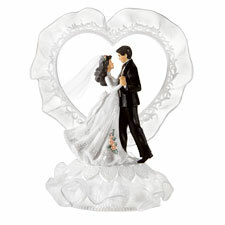 The rich, sculptured crafting of this romantic design is prefect for a wedding keepsake. Height: 9 1/4 in. 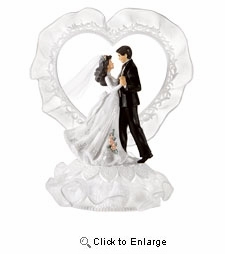 Base: 4 1/2 x 6 in. oval. Out of stock, estimated arrival time is June 5th.